Hello, Ribbon Lovers! I have a super fun masculine card to share with you today. I know a lot of you struggle when it comes to making a card for a guy, and you are afraid to add ribbon for fear it will be too "girly" . But it all comes down to using the right ribbon, the right color palette and little touches along the way. The February Ribbon Club Assortment is loaded with gloriously green ribbons, and several of them, I am happy to report, lend themselves nicely for masculine projects. 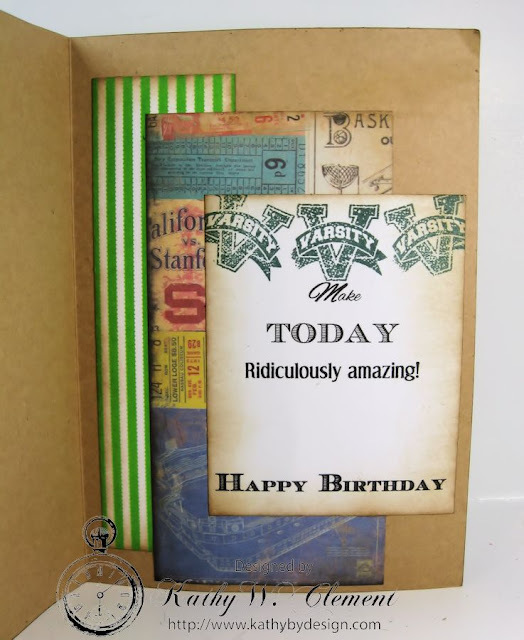 Take a look at this "Make Today Ridiculously Amazing" card and you'll see what I mean. 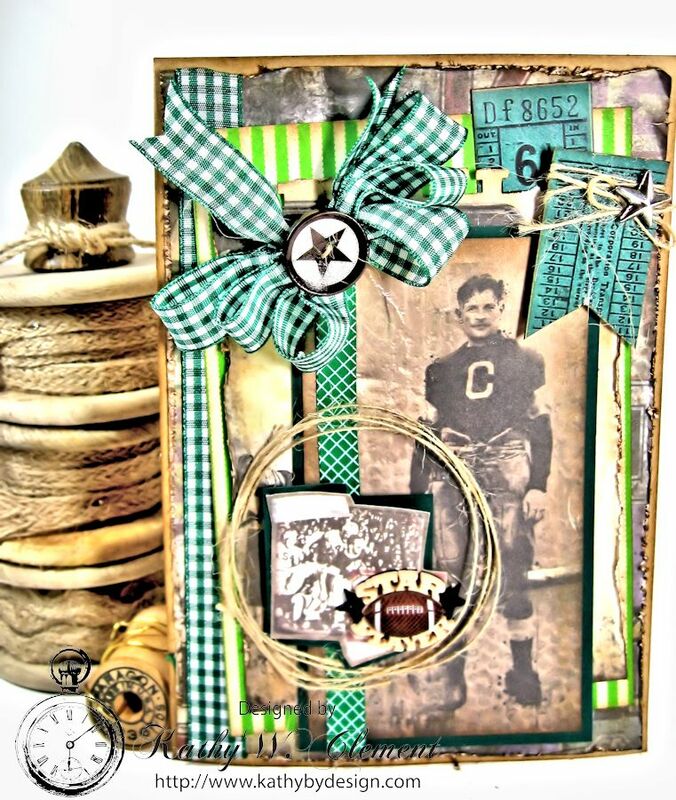 This is such a strong masculine card, and the Emerald Plaid Ribbon adds a needed jolt of color to the vintage colors of the paper collection. The paper layers have been distressed along the edges to give it a rugged feel. I added more color by adding a strip of Emerald Crosshatch Ribbon to the left hand side of my card focal. And there's nothing girly about that rugby player, right? 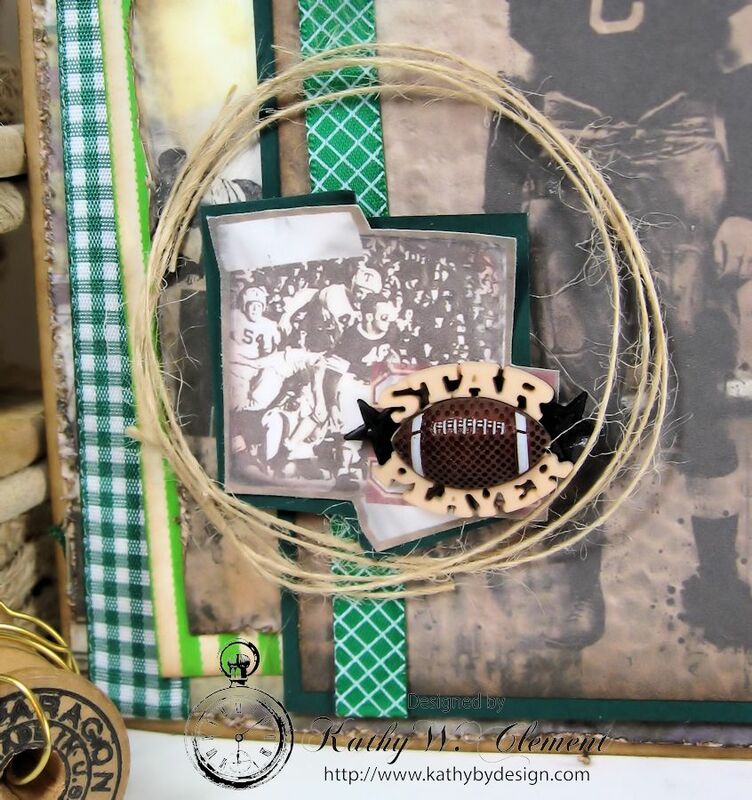 I drew attention to the detail photo and novelty button by encircling them with a bit of natural burlap string. The circular element adds a bit of fun to the card layout, too. The inside has more layered papers from the 7 Gypsies Vintage Varsity Collection and a computer journaled sentiment. Easy peasy, masculine and fun! Who knew it could be so simple to make a great masculine card? Very gorgeous masculine card. Love the vintage look. Thanks so much, ladies! 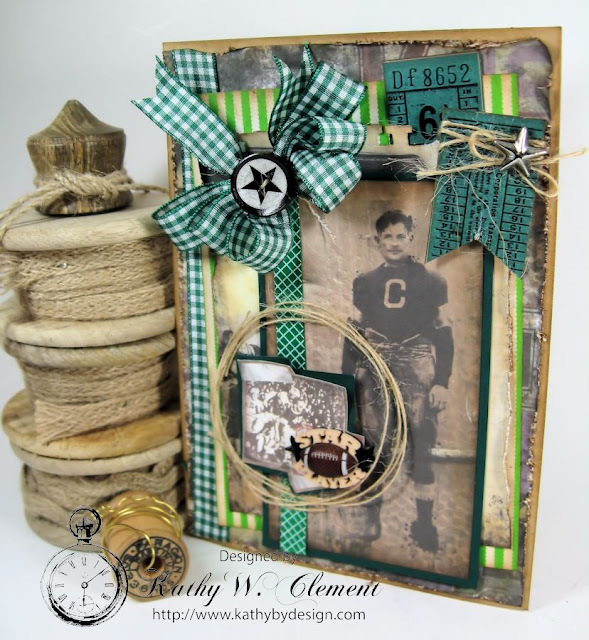 I love making masculine cards, and it's always fun to show how to use ribbon in a masculine way!